So there wasn’t an update here on the website for quite a long time. But that doesn’t mean that nothing happened. We are occupied with various things, especially with the new update with Ultra Instinct, though it still needs a few hot fixes for it. So let’s recap what happened so far, then we will talk about what is currently happening and what we plan to do, and as in Jin’s video, we will talk about the tournament, which was absent for almost a whole year (8 months to be specific). So what were we doing? Why didn’t we use the website? Well we have many answers for that, school and work being one… okay I am not going to lie to you, we just forgot about the website and discord was faster to use for change logs and announcements. But we will try to use the website more frequently, mostly for bigger announcements, talking about the current projects, and of course for the tournaments! So what happened so far? Well let’s start with the beginning. Like the very beginning, you know it started with a big boom, okay not that far in the beginning. Since the server got the new map, many things have changed. Last time I talked about it a lot of things weren’t done, because of school we had to rush opening up, and many things were left unfinished, which was a shame at that time. But since then all of that was finished, and spawn is more lively than ever, as you can see on the background picture (if it isn’t too bright for you). We had a few tournaments, what Jin himself streamed, and it was a really nice thing, but problems arised. A lot of us had problems, and no motivation at the beginning of the year. It took us a few months, but after getting everything in order we were back on track! Super Saga was released by Poke, and it is better than it ever was! Hero Saga Chapter 1 was released too, it is mainly focused on lore of the server, and helping new players get familiar with the server. A few training areas got rewamped, mainly low level ones, since we didn’t have many of those, but now we have quite a lot! A long awaited Kaioken Saga was released by our new admins Giga and Sauce! They did an excelent work, and players around End Saga level now can look forward to fight the server’s current strongest boss, Vegito Blue x100! -Vegeta’s gravity training ship at spawn! And many more awesome buildings! We have had a discord rewamp, we got a totally new discord, made entirely by one of our late builder Vesuviate, if you want to join it search for an invite on the server, or just join it through the website. We have been rewamping rules too, so it is more understandable for players, and for staff at the same time! HTC is a critical point at the server, most of the players leave there, because they can’t take it anymore. Well 3 bossess were added there, so you can fight more in the HTC for more TP! The very last thing we did, is kind of obvious if you look around on the site, and the server. We have decided on a name for the server! Being Official Jingames 1.7.10 was nice, but it wasn’t really a name, more like a title. 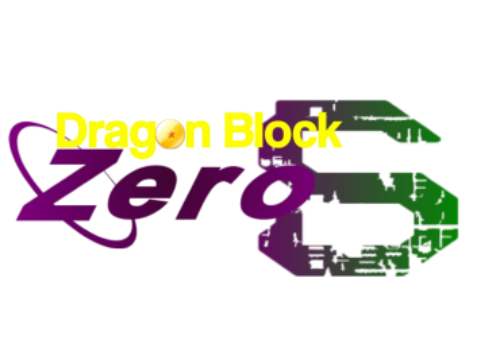 So after a few weeks of speculating we came up with Dragon Block Zero S! Dragon Block since we are a DBC server. Zero is for since we are the very first server of Jin’s (and integer starts at 0) and for lore reasons, which will be revealed in Hero Saga chapter 2 or 3. And S as Simulation, since the map reset we really adapted into the Simulation theme, and the server’s main lore is connected to it. Now onto the current projects! Currently we have quite a few projects going on as it is on the server, all of them to ensure that the players will have fun while being there. Let’s start with the project about reworking Beerus planet. It is kind of old, and kind of small, so Poke decided that he would like to give it a new, cooler, and bigger look, so it can satisfie those who love training there. Other projects what are currently being planned/worked on are there too. Hero Saga chapter 2 will be bigger and longer than chapter 1, and hopefully players will fall in love with some of it characters. It will reveal quite a bit of information about the servers lore, while the main hero, the player is doing their work to save the Simulation, and the rest of the world from a new Enemies, and recurring enemies as well. But they don’t have to do it alone, allies will be there to help him. Remember old Fusion Saga? The one what our loved admins Dupling and Flarbo made? You know what happened with it… it got overly simplyfied, so much that it is just an offense to them. So another of our project is Fusion Saga rewamp, so it will have proper lore to it, and it won’t be all over the map. You will arrive at a research lab, where they are fusing everything together, with the essence of the fusion dance. Is it safe? Most likely not, but they won’t have to fear, when ‘player’ goes there to learn fusion, they will help them clean up after their mess. But are they really happy with it? Find out when Fusion Saga Rewamped comes out! KI userse are declining in number on the server. The only reasons is.. End Saga. It is the hardest project so far for us, to make End Saga suitable for KI users again, without them abusing safe spots for free TP. We are doing it slowly, but surely one day End Saga will have KI users in it again. If not by Safe Spots being killed, then by making the npcs % resistance to KI attacks. Majin is something what almost everyone uses, because the 5% bonus it gives. It is really easy to get it, just talk to Babidi and done. But this is too easy. One of our projects involves making it, so that you have to fight for Majin every time you want to subject yourself to Babidi, so that Majin will have more worth, and possibly but not surely it will have the 10% bonus again. Lastly, this came to me a few days ago. Some people told me that UG’s lore is jumbled. While he couldn’t connect the dots together, he had quite a few valid points too about it. So I will rewrite UnderGround, Angel Skies, and Queens lore in my free time, so that it won’t be that confusing, still I wouldn’t like to push the lore into players face, so they would have to search for the lore. Now to the mainest main pont. The Tournament! This tournament is to decide the champions of the server. Because of the power differences, we have decided to split the 2 division into 3 division, so that more players will be ecnouraged to try to sign up for the tournament. If you break any of the rules you will be immidiately disqualified. The Prize will be the championship rank for every division + in game money and depending on your division either TP or RPGweapon XP. The tournament will be held on August 18th CET 9 or 10 pm. The exact time will be decided a few days before the tournament itself. To sign up to the tournament, please join us on discord, there search for the Tournament Category and the sign up channel where you will get further instructions about how to sign up properly. Lying about your DBC level or leveling up just before the tournament starts will result in an immidiate disqualification.